Rydych chi yma : Hafan / General View. Barry Dock. 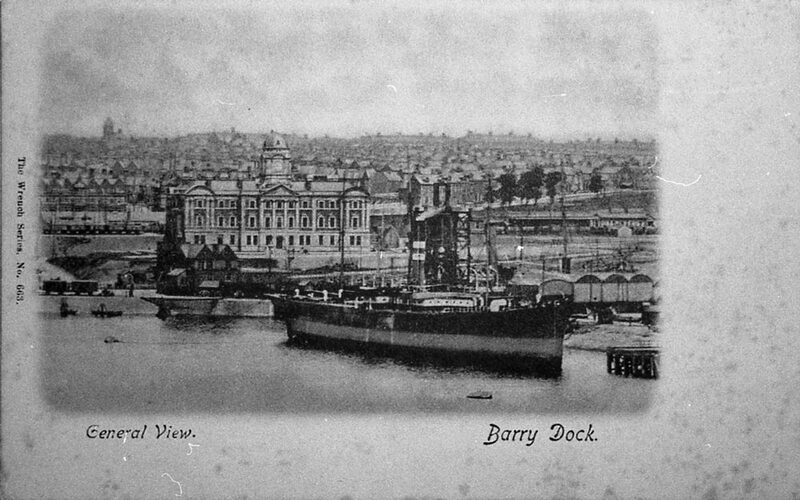 A black and white photograph of a very early general view of Barry Dock and the Dock Offices.